The risks you face as a business owner vary widely from liability concerns to workers compensation issues to the possibility that one of your workers could be responsible for an accident. If you have staff members who get behind the wheel, your commercial vehicle insurance will protect your business financially in the event of incident on the road. One of the best ways to identify the right commercial vehicle policy for your needs is to work with an independent agent in the Trusted Choice® network. These professionals have relationships with many different insurance companies, so they can help cover every aspect of your business insurance needs. Contact a local member agent in your area to get your questions answered and find the protection you need. Who Needs Commercial Vehicle Insurance? If you or your staff members use a vehicle for commercial purposes, you need a commercial auto policy, as your standard personal auto policy will typically not cover you for business use of that vehicle. The risks associated with commercial use of a vehicle, whether it is personally owned or company owned, often call for higher policy limits and different policy provisions. Do You Need Commercial Vehicle Insurance? In some cases, it is obvious that you need a commercial vehicle policy. For example, if you have a delivery service, limousine service, or a restaurant that delivers food, you know for certain that your business takes on risk each time you or a staff member drives one of your vehicles. But there are many confusing scenarios where business car insurance is concerned. What if you use your personal vehicle to drive your kids around and to deliver cakes from your home bakery service? What if you attach a plow to the front of your truck each winter and offer snow plowing services? It is typically a question of primary use, but you may have a unique situation to address. If you use any vehicle for business purposes, it definitely pays to talk with an agent who understands both personal and commercial vehicle insurance so you can make sure you have the right protection to meet your needs. Commercial vehicle policies, like personal auto policies, are primarily designed to cover your liability risks and provide compensation for damage to your vehicle. But instead of just covering your personal use of the vehicle, the policy covers you and any other person who drives the vehicle. If you have employees who use their own vehicles for work related to your business, you need to make sure your commercial auto policy covers those employees and their vehicles. Uninsured/underinsured motorist: Covers bodily injury and property damage you or your employees and passengers incur if an uninsured or underinsured motorist caused the accident. Collision coverage: Covers your vehicle when another object or vehicle causes damage. Comprehensive coverage: Covers “other than collision” perils such as weather damage, theft and vandalism. With commercial vehicle insurance, there is no “one size fits all.” The variables that affect the kind of coverage you need include the size of your company, whether you have one company car, a dump truck, a fleet of limousines or freight trucks, or a few delivery vans. You also may need special coverage for transporting hazardous or flammable materials. In addition to these factors, your commercial vehicles may be subject to state and federal regulations that impact your insurance coverage. Every business is unique, and therefore each commercial vehicle policy must be tailored to the business. How is the company organized (from a legal perspective)? What types of vehicles does your company use? Who drives them? You will need to provide driver’s license information for each driver. How often do you or your employees drive these vehicles? Do you transport people? Transport or deliver goods? Use the vehicles to provide services? What kind? The bottom line is that a business needs a flexible, tailored company car insurance policy, and it is important to make sure your policy adequately covers your real world use and risks. We are your LOCAL Trusted Choice Advisors, SouthGroup-Gulf Coast http://www.southgroupgulfcoast.com , SALES AND SERVICE AGENTS: Angelyn Treutel Zeringue, Tammy Garfield, Tammy Hogue, Tracy Arnold, Brittany Jones, Denise Russell, Melissa Moran, Alex Treutel, Anne Gillam, Ashlie Moody, Mark Strickland, Johnny Walton and Whitney Zimmerman Webb at SouthGroup Gulf Coast. 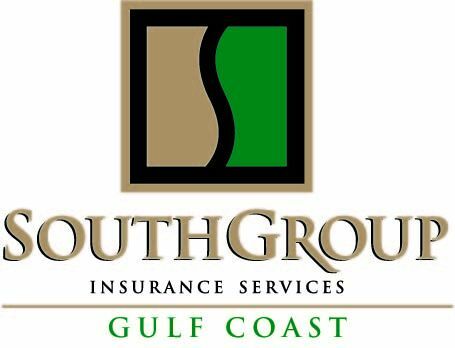 You can reach us by snail-mail or in person: 412 Hwy 90, Suite 6, Bay St Louis MS 39520, email: info@southgroupgulfcoast.com, phone: 228-466-4498 fax:888-415-8922, FaceBook www.facebook.com/southgroup.gulfcoast, or Twitter www.twitter.com/atreutel ! We have 2 Gulf Coast locations to serve you - 2505 Pass Road - Biloxi and 412 Hwy 90 Suite 6-Bay Saint Louis, MS. We write coverage in 40 different states and can assist you with Mississippi insurance, Louisiana insurance, and Alabama insurance and many other states.